Palabras clave: población hispana, sistema universitario, profesorado hispano, influencia, cargos educativos. Resumen Estados Unidos, según datos de World University Rankings, cuenta en su haber con seis de las diez mejores universidades del mundo. Según la Oficina del Censo de los Estados Unidos, la población latina ha representado la mayor parte del crecimiento demográfico del país durante la última década (56%). Pero desafortunadamente, este crecimiento no se ha visto reflejado en la educación superior. Mientras que los estudiantes hispanos se están matriculando en mayor número cada año, los profesores latinos, y muy especialmente las profesoras, no han visto un crecimiento similar, constituyendo sólo el 4% del profesorado universitario en todo el país. 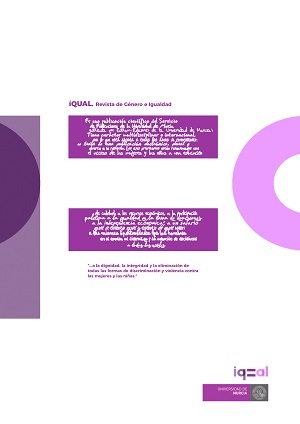 Este artículo pretende ofrecer una visión general de la situación actual con respecto al profesorado femenino de origen hispano en la educación superior estadounidense y analizar el importante papel desempeñado por el mismo por medio de sus figuras más relevantes o destacadas. Para ello, debido a la naturaleza de nuestra investigación, vamos a seguir una metodología histórica, teniendo en cuenta que en la elaboración del estudio nos hemos basado en una combinación de fuentes primarias y secundarias. Y como conclusión final, un objetivo importante debería ser el aumento del profesorado universitario femenino de origen hispano en el sistema universitario estadounidense. Abstract The United States, according to the World University Rankings, has six out of the ten best universities in the world. According to the United States Census Bureau, the Latino population has accounted for most of the country's population growth during the last decade (56%). But unfortunately, this growth has not been reflected in higher education. While Hispanic students are enrolling in higher numbers each year, Latino teachers, and very especially the female ones, have not seen a similar growth, making up only around the 4% of university faculty nationwide. This article aims to provide an overview of the current situation regarding Hispanic female professors in American higher education and analyze the important role played by them throughout their most relevant or prominent figures. For this, due to the nature of our research, we will follow a historical methodology, taking into account that in the elaboration of the study we have based ourselves on a combination of primary and secondary sources. And as a final conclusion, we will conclude that an important goal should be then the increase of female university professors of Hispanic origin in the higher education system in the United States. Keywords Hispanic population, university system, Hispanic professors, influence, educational charges. Antonio Daniel Juan Rubio es doctor en filología inglesa y profesor adjunto de la Facultad de Educación de la Universidad Internacional de La Rioja. Entre sus líneas de investigación se puede destacar el papel de diferentes mujeres en la historia de los Estados Unidos en diversas épocas (véase la ministra de trabajo Frances Perkins, la escritora literaria Zelda Fitzgerald o la congresista republicana Edith Nourse Rogers), así como la didáctica del proceso de enseñanza-aprendizaje del inglés y el uso de las nuevas tecnologías dentro del aula de idiomas. Isabel María García Conesa es doctora en filología inglesa y profesora del Departamento de Filologías Integradas de la Universidad de Alicante. Entre sus líneas de investigación se puede destacar las nuevas tecnologías aplicadas a la enseñanza, así como la aplicabilidad de la literatura femenina en el mundo moderno destacando el papel relevante de algunas escritoras de prestigio mundial dentro de un mundo machista. Aguirre, A. (2000). Women and Minority Faculty in the Academic Workplace: Recruitment, Retention and Academic Culture. Washington, DC, USA: ASHE-ERIC. Boyer, E.L. (1990). Scholarship Reconsidered: Priorities of the Professoriate. Princeton, NJ, USA: The Carnegie Foundation for the Advancement of Teaching. Castellanos, J. & L. Jones. (2003). The Majority in the Minority: Expanding the Representation of Latino Faculty, Administrators and Students in Higher Education. Sterling, VA, USA: Stylus. Castellanos, J., A.M. Gloria & M. Kamimura. (2003). The Latino Pathway to the PhD. Sterling, VA, USA: Stylus. Clark, R.L. & M.B. D’Ambrosio. (2015). Recruitment, Retention and Retirement in Higher Education: Building and Managing the Faculty of the Future. Northampton, MA, USA: Edward Edgar. Contrada, R.J. et al. (2015). The Perceived Ethnic Discrimination Questionnaire. Journal of Applied Social Psychology, nº 32, p.2. Delgado-Romero, E.A., A.N. Manlove, J.D. Manlove & C.E. Hernandez. (2007). Controversial Issues in the Recruitment and Retention of Latino Faculty. Journal of Hispanic Higher Education 6, p. 48. Evans, A. & E.B. Chun. (2007). Are the Walls Really Down? Behavioral and Organizational Barriers to Faculty and Staff Diversity. ASHE Higher Education Report, 33 (1), p. 7. Garza, H. (1993). Second Class Academics: Chicana/Latino Faculty in US Universities. San Francisco, USA: Jossey-Bass. Griffin, K.A. & R.J. Reddick. (2015). Surveillance and Sacrifice. American Educational Research Journal, 48 (5), p. 16. Gutierrez, M., C. Castañeda & S.G. Katsinas. (2012). Latino Leadership in Community Colleges: Issues and Challenges. Community College Journal of Research and Practice, vol 26, p. 8. Hurtado, S. (2001). Linking Diversity and Educational Purpose: How Diversity Affects the Classroom Environment and Student Development. Cambridge, MA, USA: Harvard Educational Publishing Group. Ibarra, R. (2003). Latino Faculty and the Tenure Process in Cultural Content. Sterling, VA, USA: Stylus. Kena, G. et al. (2016). The Condition of Education 2016. Washington, USA: National Center for Education Statistics, Department of Education. Padilla, R. & R. Chavez. (1995). The Leaning Ivory Tower: Latino Professors in American Universities. Albany, NY, USA: State University of New York Press. San Antonio Express News. (2010). A & M San Antonio celebrates its first Latino chief. 29 september, p. 8. Shorris, E. (2015). Latinos: A Biography of the People. New York, USA: Norton & Co.
Smith, J.W. & T. Calasanti. (2005). The Influences of Gender, Race, Ethnicity on Workplace Experiences of Institutional and Social Isolation: An Exploratory Study of University Faculty. Sociological Spectrum, p. 32. Snyder, T.D. & C. de Brey. (2016). Digest of Education Statistics 2015. Washington, USA: National Center for Education Statistics, Department of Education. Snyder, T.D. & S.A. Dillow. (2011). Digest of Education Statistics 2010. Washington, DC, USA: National Center for Education Statistics Institute of Education Sciences. Sorcinelli, M.D., A.E. Austin, P.L. Eddy & A.L. Beach. (2016). Creating the Future of Faculty Development. Bolton, MA, USA: Anker Publishing. Urrieta, L. & R. Chavez. (2010). Latino Faculty in Academelandia. New York, USA: Routledge. US Census Bureau. (2010). Statistical Abstract of the United States. Washington, DC, USA: US Government Printing Office.